In the 1990s email was a quaint way of chatting with few friends. It was great. Then technology, as it always does, marched forward and more and more contacts, people, and businesses started emailing you, then SPAM appeared and suddenly that completely manageable inbox resembled a rats nest of offers, newsletters and maybe even a correspondence with a friend. 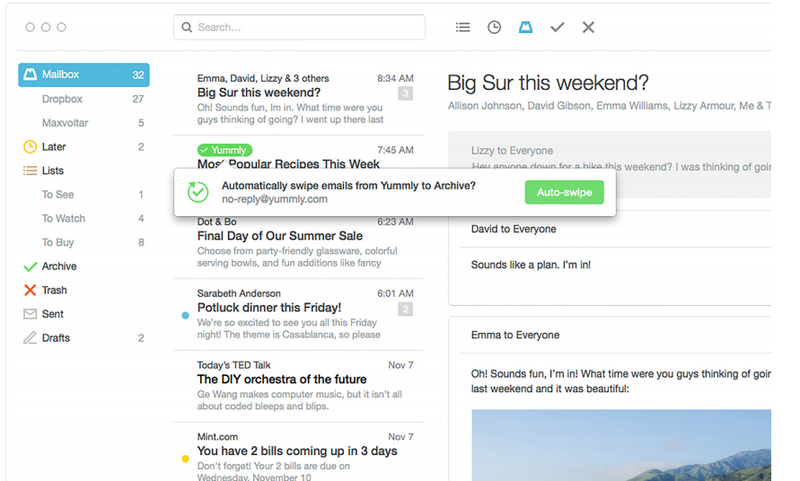 While there are plenty of companies working to make email more manageable today, email-management system Mailbox just took a huge step towards solving most of your email problems by announcing an open beta on OS X. In addition to allowing anyone to signup for the email client, the current beta has been updated with new features including sleep to device, swipe support for OS X, drafts, hot keys, and the behavior learning Auto Swipe. 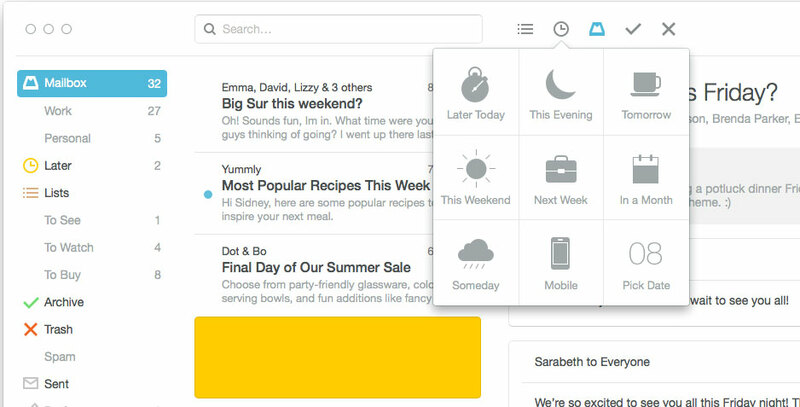 Auto Swipe tracks your email behavior. If you constantly delete email from a certain sender, the system recognizes your behavior and automatically starts deleting the emails. If you swipe to archive a particular thread, the app archives the rest of the thread and keeps it out of your inbox. Helpful when you get trapped in a work-related email thread about a topic you have no interest in. Auto Swipe will alert you when it’s about to enable a behavior. While the app is known for snooze functions that help you manage your inbox by hiding an email and resurfacing it at a predetermined time, the new snooze to device is a great way to snooze an email on your iOS or Android device to appear when you launch the app on your Mac. It also work the other direction. If you have an email that you want to surface while you’re out of the office, like details of an event you’re attending later. New hot keys (which can be surfaced by holding down the Option key) help you quickly blaze through your email, while the oddly late-to-the-game drafts support means you can save an email and send it later. Plus, since Mailbox is owned by Dropbox, by linking your account you can attach Dropbox files and keep all your preferences synced across multiple devices. While the Mailbox app for iOS was nice when it launched, without an entire email ecosystem that included the desktop, you ended up still battling email when you sat at your computer. 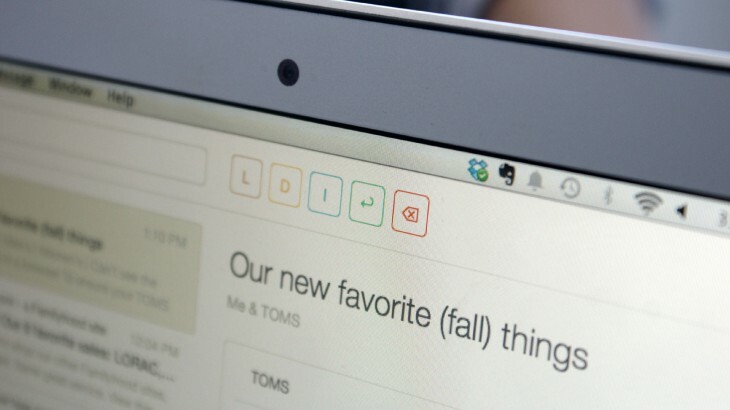 With today’s desktop beta going public, Mailbox is closing that loophole. As for beta access, users of Mailbox for iOS and Android and anyone that’s singed up for the OS X beta should start receiving an email with a “betacoin” that gives you access to the app. When you sign up, you’ll receive more coins to share with friends. If you haven’t signed up yet, you can do so now and Mailbox will be issuing more betacoins in the coming weeks.